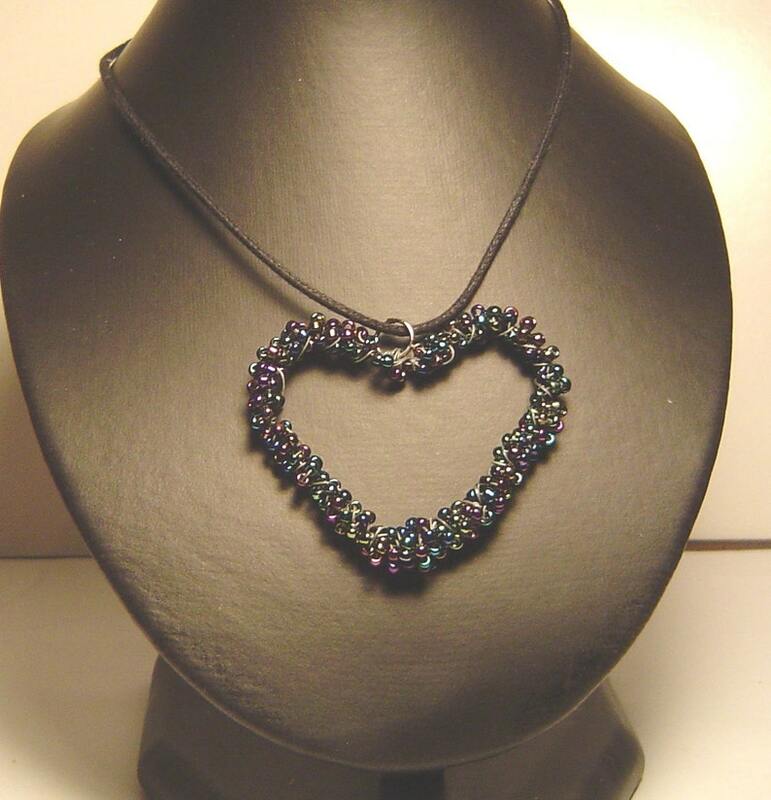 This wire wrapped bead pendant would be a lovely gift for the dark hearted. It is made of sead beads and metal wire. The pendant measures about 2 inches wide and 1 1/2 inches high. This pendant comes with a quite generous length of waxed cotton cord but I can offer it also with a length of black satin ribbon or cord. Just indicate what you would like when purchasing.